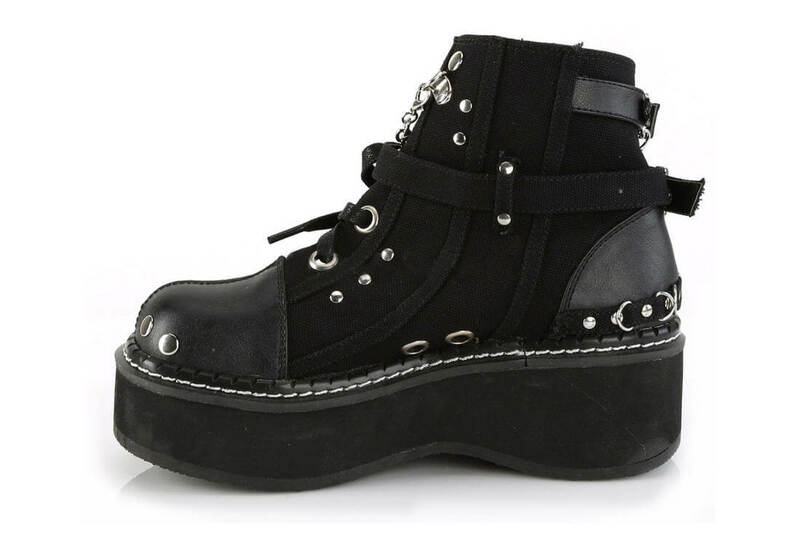 The Emily-317 is a super cute black platform boot made from canvas and vegan leather. 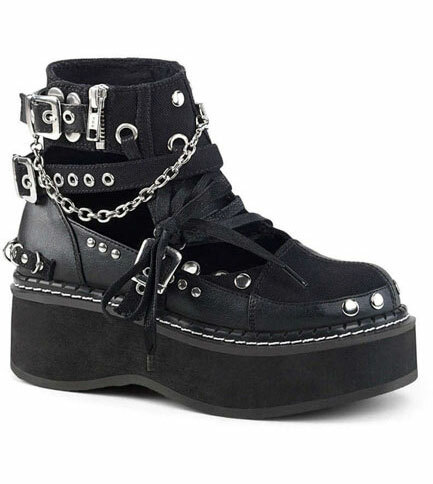 The platform measures 2 inches high and is made of durable light weight foam and rubber. 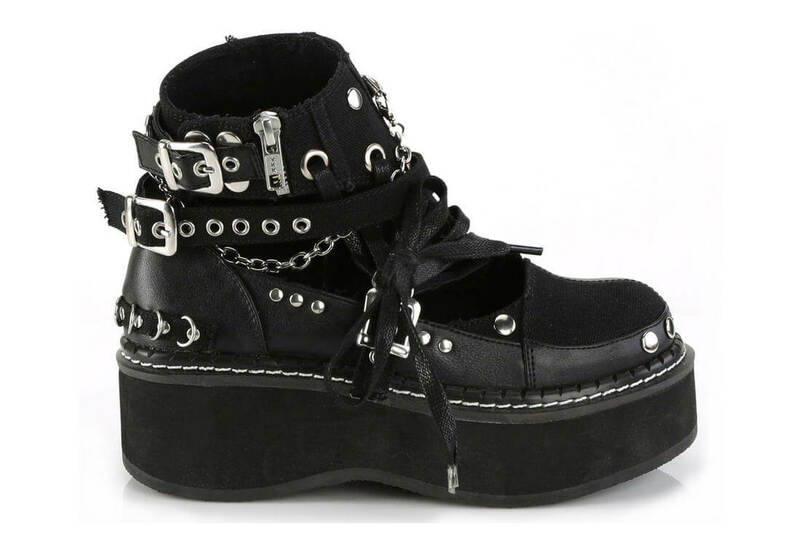 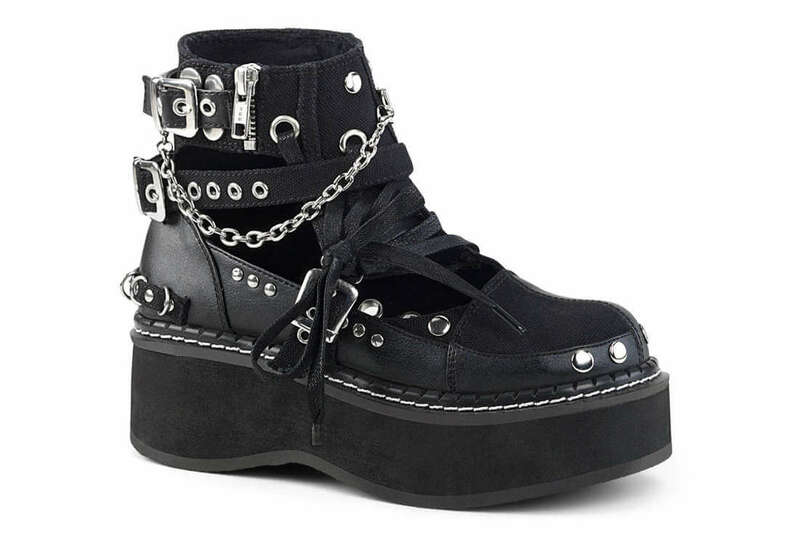 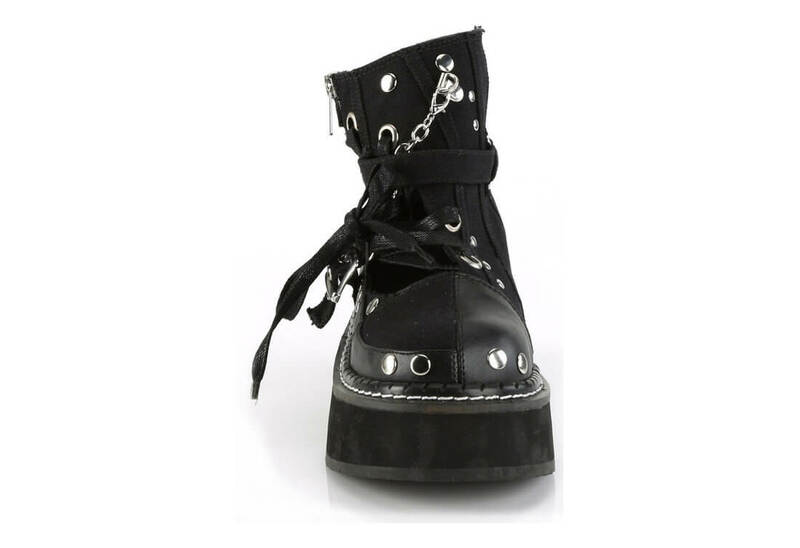 The boots have multiple buckle straps with zippers, a partial lace up front, snaps, silver studs and chains.